This five-session course gives you a comprehensive look at preparing and delivering oral presentations and testimony before Congress. SPECIAL OFFER – Buy all 5 audio courses together and SAVE more than $40. 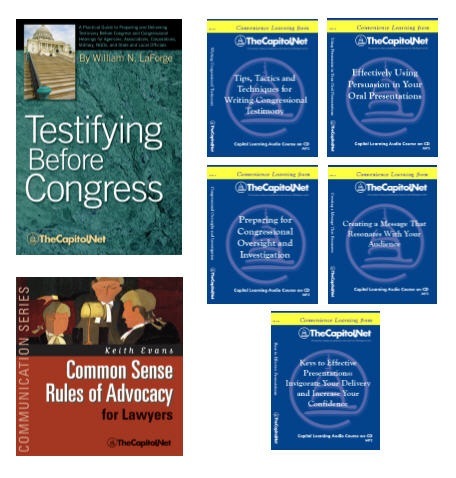 Includes copies of Testifying Before Congress and Common Sense Rules of Advocacy plus FREE shipping in the US. Includes audio files (MP3) and course materials in PDF files. Also see our Testifying Training and Effective Briefings Training courses available for custom, on-site training.